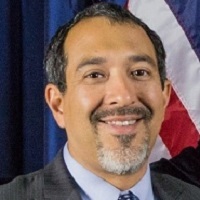 Leo Munoz has over 20 years of experience in politics, public policy and campaigns. Over the last two decades, he’s acquired a broad understanding of a breadth of issues on the local, state and federal levels. Currently, Leo is the Senior Director of Federal Governmental Affairs for Comcast Corporation. In this role, he is responsible for shaping and advocating for Comcast’s positions on legislative and regulatory matters impacting all lines of business. Prior to his position with Comcast NBCUniversal, Leo served as Chief of Staff to Congressman Charlie Gonzalez in Washington D.C. who served as Chairman of the Congressional Hispanic Caucus from 2011-2013. As a result, he was a key liaison to the White House, senior elected officials and heads of state. Leo currently serves on the Advisory Board for the Lozano Long Institute of Latin American Studies and the Benson Latin American Collection at the University of Texas at Austin. Leo lives in Washington, D.C. with his wife, Julie, his daughters Amelia and Marin, and his dog, Oliver.